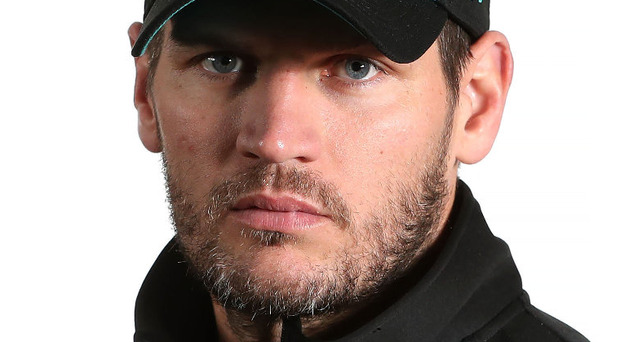 As their 11-game domestic winning streak came to a shuddering halt in Sheffield with a 4-2 loss to the Steelers on Sunday, Belfast Giants head coach Adam Keefe has admitted his side perhaps took their eye off the ball. The league-leading Giants saw their advantage at the top of the Elite League trimmed to one point as they split the weekend doubleheader with their conference rivals, with Belfast coming out 4-2 winners in Saturday's opening match. Going into Sunday, the Giants had played an incredible 14 consecutive games on the road in both the league and Challenge Cup, and that stretch seemed to finally get to them as they were sluggish in Sunday's loss, conceding four unanswered goals by the half-hour mark that they never recovered from. And Keefe confessed that the side perhaps let themselves become too confident going into that matinee game in Sheffield. "It's certainly disappointing," said the Canadian coach of the winning streak coming to an end. "Things have been going our way but they didn't tonight. "I think I have to take a lot of responsibility for that as well, we let ourselves get too high, myself included, and we let bad habits creep in. "We have to get past this and move on to Wednesday, the games keep coming thick and fast." That being said, the head coach was still eager to put the defeat in perspective given the Giants' incredible run that has seen them take a stranglehold on the league. Although their lead at the top of the table is only a point, they have three games in hand on the second-placed Nottingham Panthers, not to mention that 24 of their remaining 37 league games are in the comforts of their own building, the SSE Arena. "We're not happy with the loss but we'll look at the bigger picture of this road swing we've been on which has been quite successful," Keefe said. "If a couple of bounces had gone our way then it could have been a different story, but credit to Sheffield, we can't take anything away from how they're going right now, they put us under a lot of pressure (on Saturday) and I think it told. Today I didn't think we had the execution." The positive for the Giants is they'll get a chance to immediately get back in the win column when they travel to the Dundee Stars on Wednesday night. Having beaten the same opposition 8-0 only a week previous, the Giants will be confident of picking up two points and extending their lead at the top of the Elite League. "First we need to get some rest here, we play Wednesday and then Saturday and Sunday, and then Tuesday followed by Saturday and Sunday again," Keefe pointed out. "These games can creep up on you, so we need to make sure we get our rest and recovery."